Safeguarding against a data breach – and preparing for one – is something small business owners really need to have on their radar. The good news is that there are some effective, if not infallible, defenses small business owners can easily – and inexpensively – implement. Consumers are paying closer attention to the value of their personal information and how to manage their privacy. To build trust, businesses must address customers’ preferences, needs and concerns about privacy by being transparent about their collection, use and protection of consumer data and providing easy-to-use privacy and security tools. 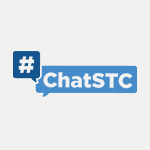 This #ChatSTC Twitter chat will help you understand how privacy is good for business and the steps your organization can take to respect privacy, safeguard data and enable trust.